Take a look at these two photos. On the surface the tiles couldn’t be more different, but if you look closer you will notice that both have the exact tile pattern. The feel of a floor has to do with the choice of tile as much as the tile’s design. The tile floor on the left is a classic look for a modern bathroom. The light blues have enough variations to stay interesting while not enough to call attention to the floor itself. This is good background flooring. On the other hand, the tile on the right is a critical part of the look and feel of the room. It’s a perfect fit for the space between that luscious wrought iron gate and the dramatic staircase and banister. What mood does that tile evoke for you? It seems as though the room has moved here from another era, a world of beautiful clothes. It’s easy to see that this is not a contemporary space. That the photo was taken in Paris almost seems obvious due to the rich tones and inviting old-world design. That floor is all of that and more, and yet it is a design match for the ceramic bathroom flooring on the left. Choosing the right flooring for the right style can be tricky, and both design and tile choices are part of the final appearance. If you want your home to feel like 1890’s Paris, how about taking a chance and reproducing this floor? You may not be able to find a gate like this one, but you could be one step closer to re-creating a turn-of-the-century Paris feel in your home. Have you wanted to add a fountain to your landscape but found yourself dissatisfied with your choices? How about designing your own fountain using a circulating pump and some tiles? The one in this photo is pretty dramatic, so you might want to start with something a bit simpler. Or you could look into landscape architects who have worked on fountains before. By designing your own fountain or even waterfall using tile, you are unlimited when it comes to colors, styles and mood. Would you like a modern fountain? Consider glass tile or even slate to shine under the water. 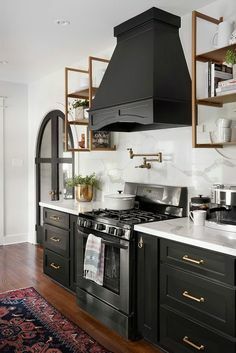 If you’re leaning toward a more Moorish look, how about adding some figured tiles that show off their rich tones and patterns? A selection of hand-painted Mexican tiles along the edge of a simpler tile or stone choice and you can create a south-of-the border water feature. Tile is sturdy enough to handle the outdoors and the splash of water. The only thing you may want to do is to make sure the water you use is not too mineral-rich because that can damage the look of the tile. Tile also comes in all shapes and sizes, and prices! You can have a beautiful fountain by showcasing several more expensive tiles as trim while using a more reasonably-priced tile for the basic structure. And how about a light blue tile at the bottom of a pool to make that water look even more clean and inviting? Want a fountain that’s unique to your home? Build your own with tile. Laundry rooms are growing in size and scope. Instead of a simple space holding a washer and dryer and maybe a tub, laundry rooms may have extra storage, pull down ironing boards and space for other uses such as paying household bills or sewing and crafts. This small but bright room is an ideal setting for laundry. The modern washer and dryer have a rod set above them that’s perfect for hanging clothes to dry or shirts after ironing. There’s plenty of space for an ironing board and an additional surface for folding clothes. The top of the appliances is also useful for folding and organizing. Notice the flooring – a simple small tile common in many bathrooms. This is a good choice for a room with potential flooding issues. The drain in the floor ensures that any unexpected water won’t risk the floors in other rooms of the home. With the window and bright curtains, this is an inviting space for working. If your laundry space also serves any additional purposes that may incline you to have the room feel less utilitarian and more like the rest of your home, you might want to consider a laminate floor. The look of wood in a floor with the more moisture resistant utility of laminate allows you to create a nicer looking space that still meets the room’s functional requirements. Don’t treat your laundry room as a drab space to be hidden. Add functionality and design elements to create a space that you enjoy as much as any other room in your home. It happens to many of us often, we comb every retail website and every store and still don’t find what you we’re looking for, especially while looking for carpets. Not every carpet can coordinate perfectly with your home décor that you painstakingly developed over the years. Suppose you need to find a carpet that will highlight your beautiful sofa perfectly, and none of the carpets you came across seem to be able to do the trick. What should you do when you just don’t seem find THE carpet you are looking for, anywhere? The answer is: design a carpet of your own! That is to say, create a custom carpet for your home. Even the thought of a carpet, designed specifically for your home, seems exciting. Now you don’t have to worry about adjusting your furniture according to your carpet patterns. You can just hire our carpeting experts to help you design the floor of your dreams. You can sit with them and discuss in detail about every aspect of your new carpet, including the material, the design, color and its layout. They will also offer their expert suggestions about what will look best in your room, and you can choose from our extensive line of carpeting. Creating a custom carpet gives your home a unique look, and imparts in your home a graceful appearance. A custom carpet is key in creating a home décor, where every element of the room blends and complements each other beautifully. How tempted are you to walk into this store? The name – Expensive – would make many of us hesitate. Do you feel that many stores should have this name? Sometimes walking into a store that sells home products such as flooring can feel this way too, but remember that most home products last much longer than the clothes in your closet. If you haven’t priced flooring in a while, it’s best to start by looking at the prices of every type of floor to get a good sense of the cost of various options. You need to learn about the choices to make the best decisions for you. Just like clothing, flooring costs can vary because of the expense of different materials, construction requirements and overall workmanship. In clothing, silk is generally more expensive than cotton, but sometimes the additional cost is worth it for you. In the same way, part of your decision involves determining the right price point for you and your home. Beyond cost, consider issues such as durability, lifestyle, personal taste and resale value. Are you going to be happy with your decision next year, five years from now – ten? You will be looking at it a long time, so it’s worth a second look now. Cost is important, but by factoring in other issues, you won’t see that “Expensive” sign. You’ll just feel satisfied that you made the right choice for your home and you. The Global Exotics hardwood collection from Armstrong is a gorgeous collection of exotic woods from around the world. Ranging from the soft, subtle grain of the Cumaru to the rosewood like Sapele African Mahogany, these wood have an elegant look. These premium hardwoods have impressive hardness and durability that will add to the value of your home with their quality. The collection includes seven species, so there is one that will surely fit into your new build project or existing home décor. The seven hardwoods in the collection are: Brazilian Cherry, Tigerwood, Timborana, Santos Mahogany, Amendion, Sapele African Mahogany, Lapacho and Cumaru. Brazilian Cherry, in natural, has a warm golden red color and subtle grain for a sophisticated feeling. Tigerwood, in natural, has a sporadic dark grain that gives the feeling of tiger stripes. A bolder wood. 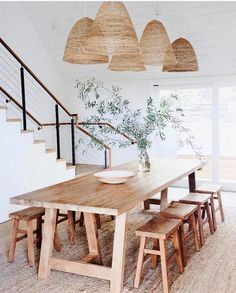 Timborana, in natural, is a light color wood. It is warm, but more creamy than golden. Santos Mahogany, in natural, is a rich, deep red with fine graining. Feels more traditional. Amendoim, in natural, is a light, subtle grained wood, similar to Timborana. Sapele African Mahogany recalls rosewood with its rich, dark red with black grain. Lapacho, in natural, is a blend of warm browns that very from golden to a more reddish tone. Cumaru, in natural, is a golden hued wood with a subtle grain. More golden than either Amendoim or Timborana. So if you are choosing a hardwood floor for your living room, dining room, bedroom or hall, think about selecting one of the seven exotic woods from the Armstrong Global Exotics collection. Visit Century Tile’s website to view and choose your new floor today! The traditional architectural details and décor of this room give it a flavor of the past, but it’s a modern room created by someone with traditional taste who, obviously, loves blue. If this room is not your style, fine. But you can learn something about designing your own rooms from looking at other spaces that feature any style or taste. Good design tools are universal, and this room demonstrates some excellent design decisions. 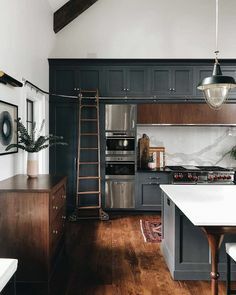 To start, while the first impression is that this room is completely blue, with a closer look you can see the other colors that help this room work. The strong white elements in the wainscoting, ceiling and crown molding and the fireplace help balance the blue and keep the room feeling fresh rather than cloying. Pattern curtains also create a few color breaks. The next good decision is the variety of blue tones. The walls are a light blue-on-blue pattern that is echoed in the upholstery. The drama comes from blue carpet. The floral pattern connects that rug with the rest of the blue in the room. Patterns are well balanced. Although florals prevail, the variety of pattern color, shape and background allow them to work well together in the room. There are enough solid fabric choices to balance the pattern effectively. This room also does well in terms of proportion. The high ceiling is supported by the curtains, mirror and artwork, helping the room to feel like an integrated space. Notice the not-to-style choice of a clear coffee table in the middle of the room. It works because it serves a specific purpose, to keep from cutting into the color and line of the area rug. This is a smart room. If you pay attention there is something to learn from every room you see. Then you can take your own ideas and apply them to your own home with success. Making plans for a new addition to your family? With a baby coming you may be thinking of buying a larger home or renovating to prepare. As you figure out what you need, be sure to think about the right flooring choices. Babies are all about floors. They lay on them, crawl on them, learn to walk on them, play and explore on them. They also fall on them, so your choice is about both comfort and safety. To begin, figure out a place to provide cushioned flooring. This could be a few area rugs with enough space to support a moving toddler or playtime. Or you may choose to carpet one or several rooms. Be sure to add a good quality pad under either carpeting or rugs to add more cushioning. Today’s stain proof carpets also allow your home to look nice in spite of the new little spill-meister you’ve added to your home. Harder floors such as wood or laminate can also work well for babies. The smooth surface makes scooting across the floor a lot easier, and there is some research evidence that indicates that spending time on a hard surface maneuvering on their tummies can make babies better prepared for learning later in life. Whatever flooring decisions you make, you will find that the good of your child is a part of the decision, as it will be part of almost every decision you make from now on until they’re grown. Welcome to parenthood! Wet Pool & Dry Floors – Can You Have Both? Do you enjoy having a pool in your backyard but worry about all that water dripping on your nice floors? If you were able to include a bathroom with patio access, you can use that as an airlock – having everyone shower, dry and dress before heading into the rest of the house. However, if you don’t have that available, there are other choices. Putting in an outdoor shower can give you many of the benefits of a pool bath. If you can design some privacy in, people can shower, dry and dress before going into the house. This is a perfect opportunity to install a solar hot water heater. It will provide plenty of heat on warm sunny days when the pool is in demand. Another option is simple management. Have everyone towel down and stay outside long enough to dry off before coming into the house. If you make sure to have nice patio furniture and cold drinks and maybe even snacks outside, this will not be a burden on family and friends. On warm days, 15 minutes or so will probably be the most that’s needed. One solution will address the worst of the problem but it’s more than a bit of work. If you place washable rugs or folded towels outside the patio entrance and inside the house for seven or eight feet you will capture most of the drips before they hit your floors. Of course this involves making sure towels and rugs stay dry enough to work and get laundered regularly. The best way to look at this situation and find solutions is with the help of the whole family. It’s best to talk together to determine what will work best for all of you. After all, you want to make sure that your pool is a source of fun rather than contention. In most situations people don’t pay attention to their baseboards beyond wiping them down a few times a year. However if you’re changing the look of your home, you may want to determine whether your baseboards should be replaced. If you want your contemporary home to take on a more old-style look, molding is one way to add architectural character without spending a lot of money. Crown molding, window and door frames and baseboards can be replaced in just a few days. The molding in this photo is common in older homes. It is about twice the height of newer baseboards and has more character along the top. Painted molding such as this will work with virtually any floor, even wood as you can see from the photo. It’s more important that your molding is consistent throughout the house than that it matches your floors. White painted molding – generally in a glossier finish than the wall paint – has a classic look that sets off a traditional decorating style. In modern homes, baseboards are better when they’re simpler and less noticeable. Often homes with tile floors will have baseboards actually created from the tile cut into three or four inch strips. That way the baseboard has a natural connection to the look of the floor and doesn’t demand attention. This style works well with the clean lines of modern furniture. What look do you want your home to have? As you plan, consider details such as baseboards to ensure that your rooms are design-consistent throughout your home.